Forward By Keith King, Ph.D. Within this book, “Information for Mental Health Providers working with Children who have Chronic Medical Conditions,” Dr. Laura Nabors reviews the critical role of mental health providers working with children who have chronic medical conditions in community settings, such as schools. A major focus is on presenting relevant, practice-oriented clinical research with case examples to illustrate key points in chapters. Dr. Nabors provides readers with an up-to-date review of issues and concerns commonly faced by children and families coping with a child’s chronic medical condition. The ten chapters in this book effectively tackle a wide array of issues experienced by children, parents, and siblings. In carefully reviewing this book, I found it to be highly effective in displaying evidence-based content while also providing readers with practical strategies for effectively working with children with chronic medical conditions. In so doing, Dr. Nabors has greatly added to the professional literature by translating clinical research into professional practice. It is a hope that you will find this book to be as beneficial to your work as I have found it to be toward mine. There is no doubt that this book will benefit numerous health professionals, health educators, and mental health service providers. Forward By Jessica Kichler, Ph.D. In order to provide high quality mental health care for children with chronic medical conditions and their families, it is essential for mental health providers to stay up-to-date in their knowledge of clinical treatment practices and empirical outcomes. 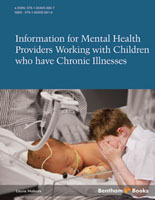 This book, entitled, “Information for Mental Health Providers Working with Children who have Chronic Medical Conditions,” summarizes the current literature related to helping children and their families cope with a chronic illness in multiple settings. 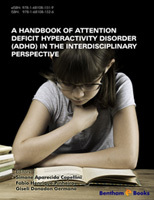 Specifically, the eBook has a focus on the research outcomes associated with improving a child’s adherence to medical regimens and his or her adjustment in the school setting. The eBook also addresses issues for the family members of a child with a chronic medical condition, including grief and parental and sibling adjustment. The purpose of the eBook is to provide information for mental health clinicians from a number of disciplines, including counseling and psychology. However, this knowledge is also useful for other providers on medical teams, who are assisting children in adjusting to and coping with having a chronic medical condition. Ideas for improving child functioning are presented through case studies as the close of each chapter, which illuminates the most recent clinical perspectives in helping children cope with their chronic medical condition in real-world situations. A generalist perspective is used to illustrate multiple ways to help children with a wide variety of chronic medical conditions. However, there are also specific recommendations for helping children with different types of medical illnesses. Reintegration into their daily lives in ways to facilitate positive functioning and child resilience is an emphasis throughout several chapters. The eBook also provides vital resources on developing skills for a successful transition to adult care among children with chronic medical illnesses. Those who would like to learn even more about the different topics presented in the eBook can then consult the pertinent references presented within each chapter. In summary, this eBook provides guidance to mental health clinicians working with children with chronic medical conditions in schools and private practice settings as well as those who work with children in hospital settings. 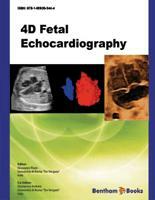 The author’s approach to this subject is both conceptual and practical and is aptly illustrated with case examples that are invaluable for clinical training. This eBook offers ideas for consideration for mental health clinicians of all experience levels and is a fundamental tool for those beginning in the field of providing specialty care to promote the mental health and functioning of children with chronic medical conditions. Jessica C. Kichler, Ph.D., C.D.E. Children with medical problems often benefit from psycho-education and support from a mental health services provider. This book takes a broad perspective in reviewing roles for child mental health providers, such as a child psychologist or counselor who is working with children with medical problems. A non-categorical or generalist approach is a focus of chapters in this book, in order to broadly address ideas for mental health practitioners who wish to specialize in interventions for children who have chronic illnesses. Moreover, research examples and case studies also present information on the specific needs of each illness, which may be critical to helping children and their families. The author’s goal is to provide a perspective and encourage thought about the role of mental health providers in facilitation of the development of children with chronic illnesses as well as their families. Suggestions for working with children and their parents, based on a review of relevant research are presented. An emphasis on supporting the child and enhancing resilience across key contexts for the child is provided. Improving communication between the medical team and school is another goal for improving child functioning. Assessment of child abilities and development of school care plans are steps in optimizing integration in school contexts. In addition, ideas for assisting children and families are presented through a review of case studies developed for teaching purposes (i.e., these are not representative of actual client meetings or contacts). The importance of supporting the family, including siblings and parents, as well as the child with the illness, is emphasized.